One of only a few rivers in the world that flow north, the St. Johns River originates in Brevard County and winds its way all the way to Jacksonville where it empties into the Atlantic Ocean. The river is well-known for its many fishing, boating, and sightseeing opportunities. 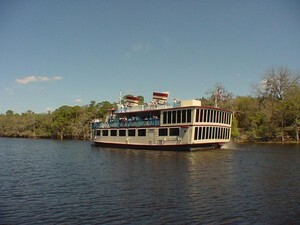 Orlando area lakes Lake Harney, Lake Jesup, and Lake Monroe are all part of the St. Johns River system. The city of Sanford is built on the shores of Lake Monroe and houses a large marina, home to all sizes of watercraft.